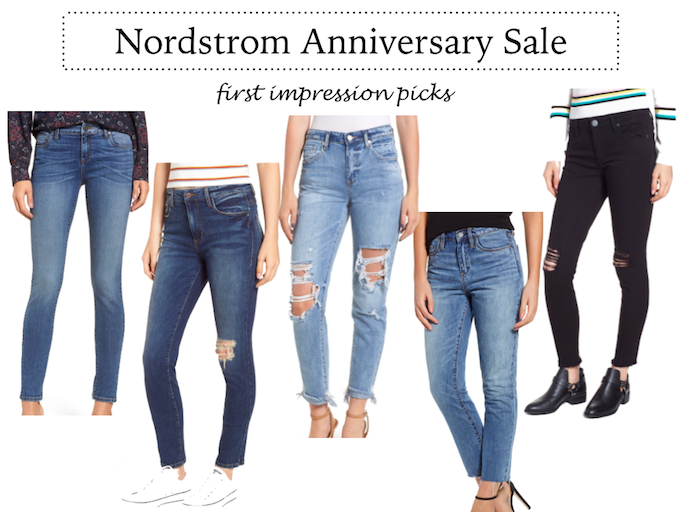 The Nordstrom Anniversary Sale is in full swing and although there were some hiccups yesterday, it seems that shoppers are back at it today! 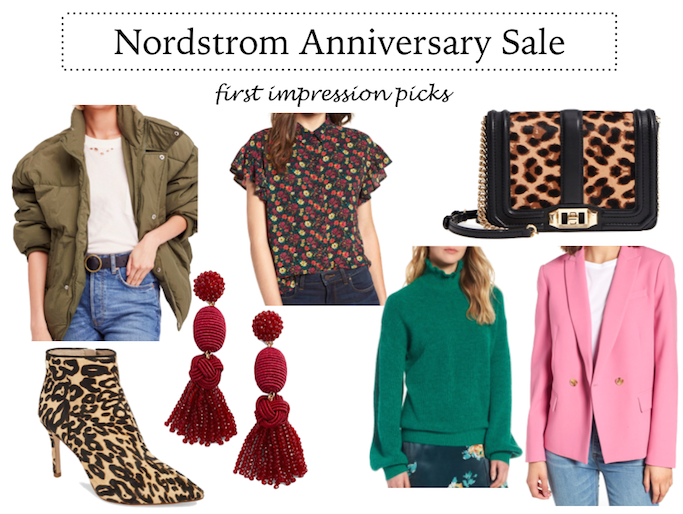 Yesterday I shared some of my top picks for the 2018 sale and many of those I'm sharing today and how I will style each piece. What did you shop for yesterday and if you are still shopping, what are you looking for?! 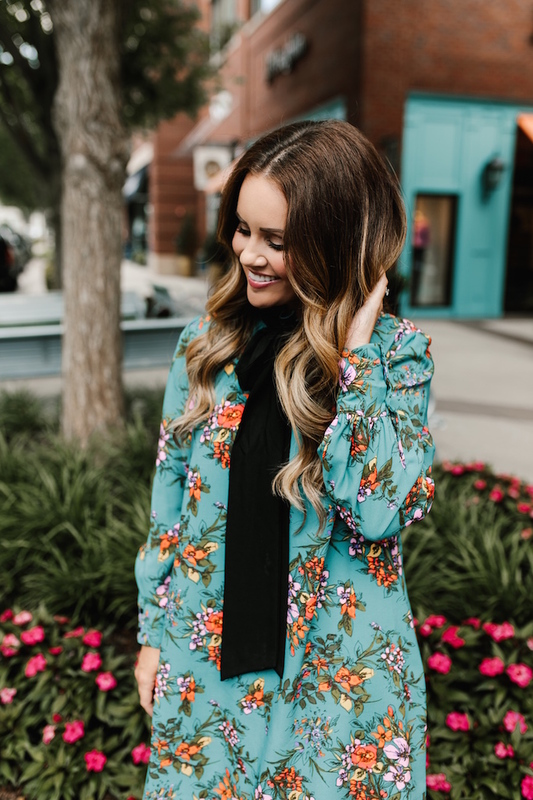 I was looking for a great fall dress and this bold floral dress immediately caught my eye! Not only do I love the colors but I also love the floral print and the ruffle sleeve. I did size up in this dress, typical for this brand, and you will want to wear a bralette (I have a lace bandeau bra on) with this dress. 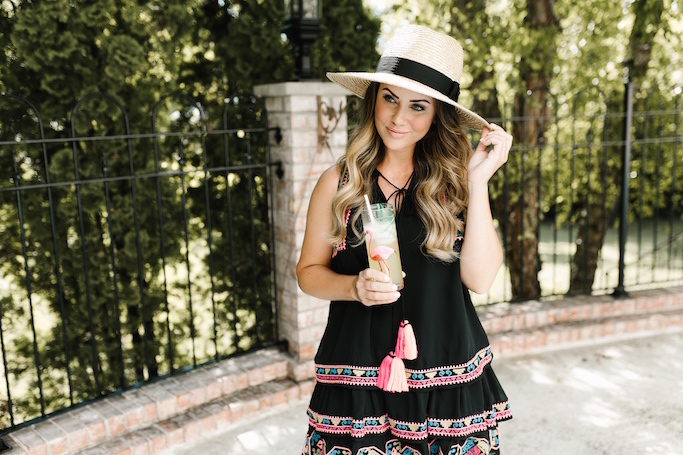 How cute is this baby doll style dress?! It is a bit retro, which I love and again, the bold turquoise backdrop with the pretty floral print was a stand out among the rest. It comes with the black necktie but you can wear it with or without. I paired it with some white booties. Wear it this fall with tights as well! 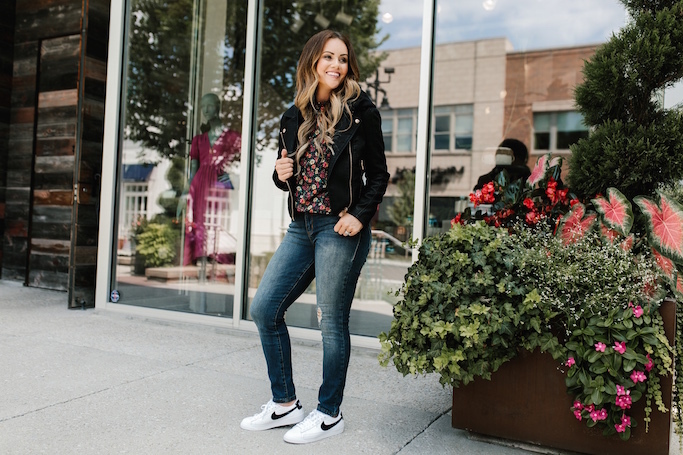 I picked a new moto jacket for the season and I love the cool vibes of this jacket. It has a detachable hood if you want to wear it for a more dressy occasion. 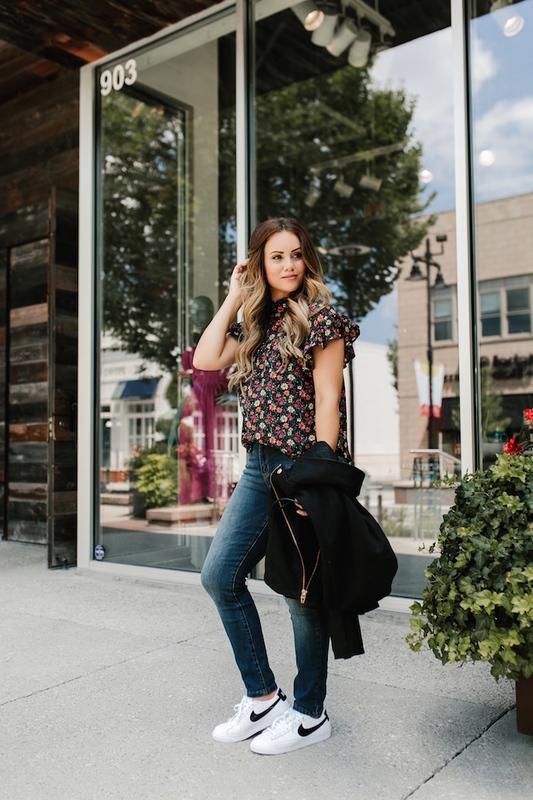 These jeans fit well, I recommend sizing up in them, and I love this sweet floral ruffle sleeve top! Not to mention, I had to grab a new pair of sneakers so I chose these classic white and black Nike kicks! 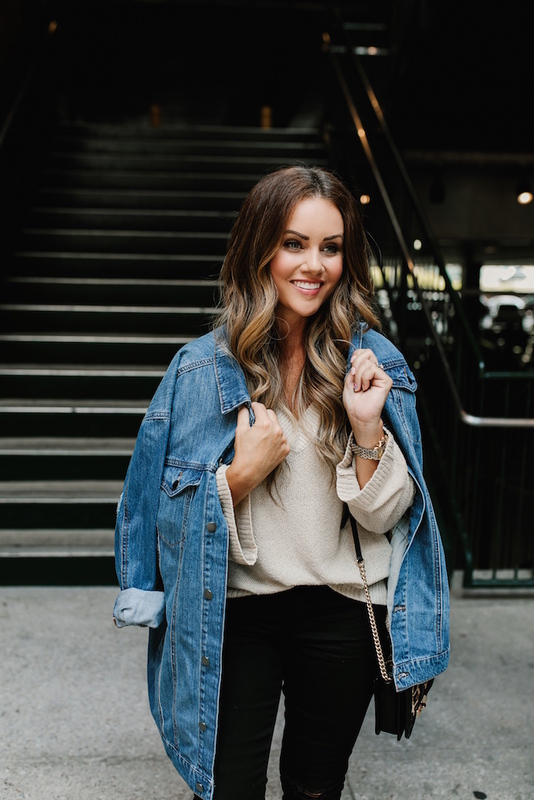 This cardigan is probably one of the most popular pieces from the sale. It's big, oversized, and chunky...perfect for the fall and winter months. Wear it over a classic white tee and you have a casual chic look. It also comes in other colors! The handbag was my splurge purchase. Its a classic that you will be able to carry with so much. Again, I was drawn to color and bold prints and I immediately fell in love with this fun cheetah print cardigan. It is not your typical cardigan, which is why I picked it. Sometimes you need statement pieces that not many others will be wearing and this is it! 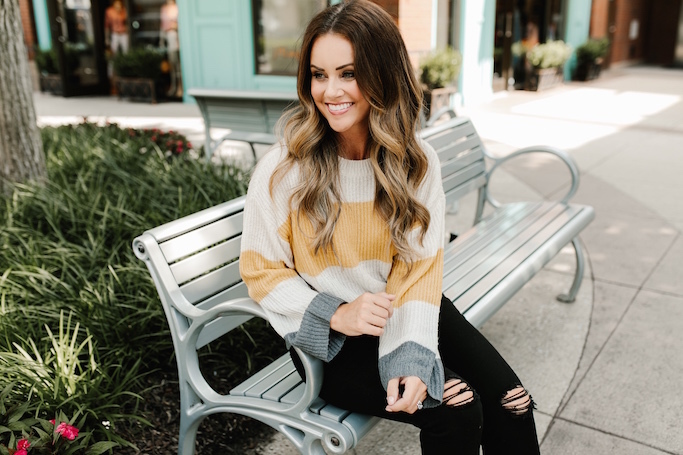 How cute is this striped sweater?! Another favorite of mine from the sale! I love the bold stripe and the color combo! It is comfy and warm and perfect for a casual fall day! 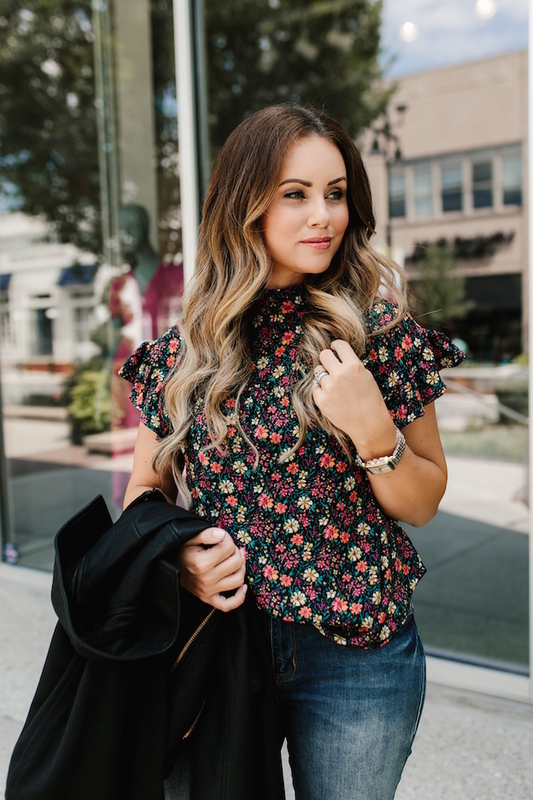 Well, I loved this bold floral print so much so I had to get it in the top as well! This is a wrap top, you will want to wear a camisole or brallette underneath. 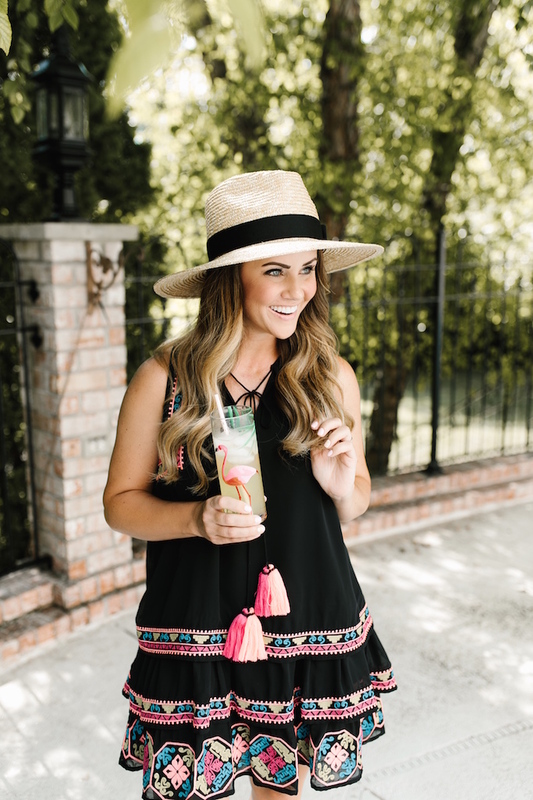 This top can be dressed up or dressed down. I paired it with these distressed black denim jeans, size up in the denim. Another great striped sweater priced under $32! How can you not love the stripes and the perfect fall color combo. This one is selling out fast and limited sizes are available right now but it could be restocked! 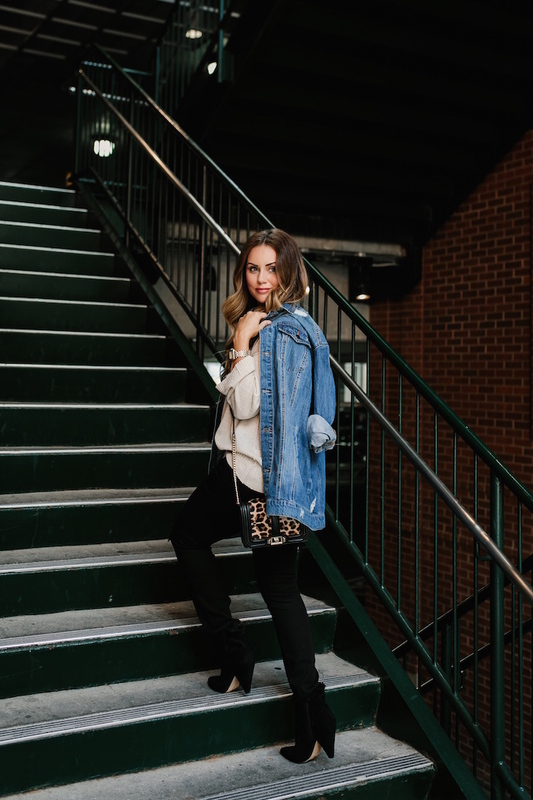 This longline denim jacket is fun! It is a little bit out of my comfort zone but I think if styled the right way, it is super cute! It has that boyfriend fit feel to it! I paired it with the black denim and this v-neck soft sweater that also comes in other colors. I also picked up these black suede boots which have a little bit of western feel and come in other colors as well. And yes, here is that bag again, I love this bag so much! Which piece is your favorite?! 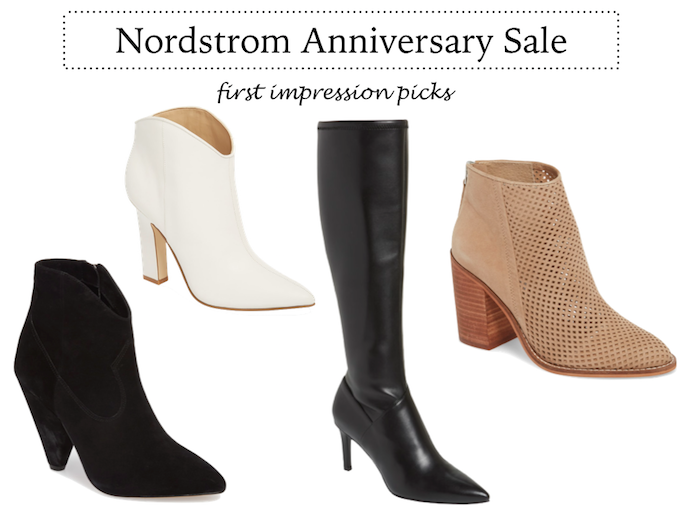 Shop the Nordstrom Anniversary Sale HERE! As always, thanks so much for stopping by...have a wonderful Friday and I'll see you back here real soon! 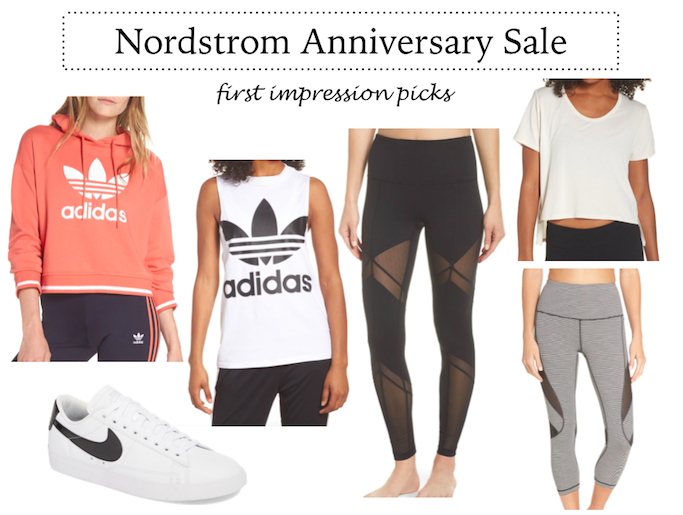 The Nordstrom Anniversary Sale has kicked off for card holders and the sale shopping has begun! Card holders will be able to shop the sale first beginning today through July 19th...YAY! 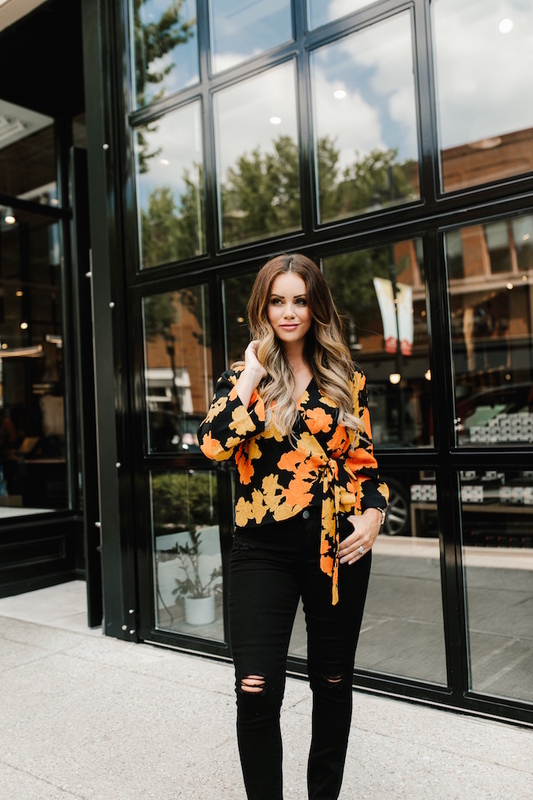 I'm excited to share some of my first impression picks with you today...there are so many gorgeous pieces that will certainly elevate your Fall wardrobe! 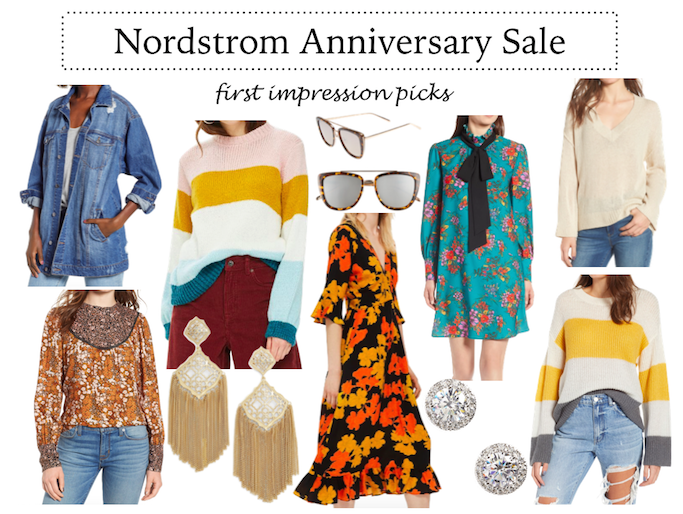 Pieces will go fast, they do every year, so snag what you LOVE now! If you aren't a card holder, here is what you need to know...you will be able to start shopping the sale on July 20th and I will be providing an update on that date with pieces that are still available so be sure to check back here! Links are in order...starting from top left down to bottom right! 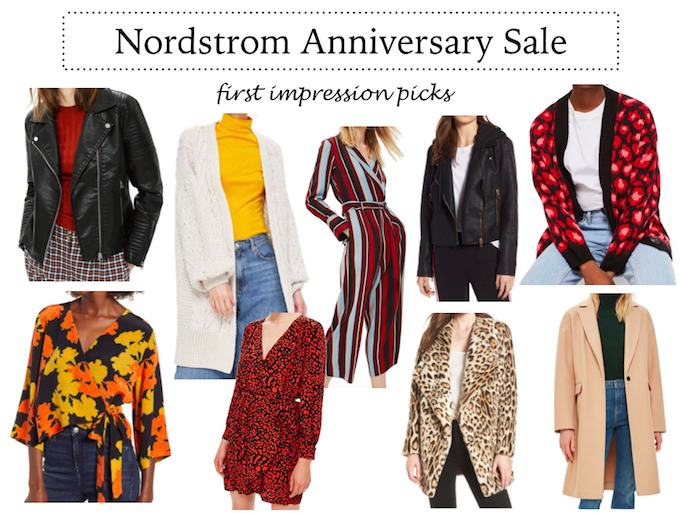 Have fun shopping the Nordstrom Anniversary Sale and stay tuned for some posts of me styling some of these pieces from the sale! 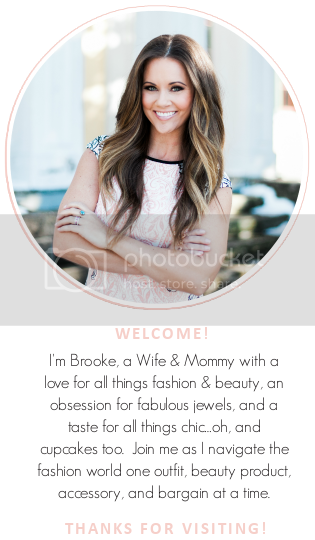 Check back here for updates throughout the sale as well! As always, thanks so much for stopping by...have a great day and I'll see you back here real soon! 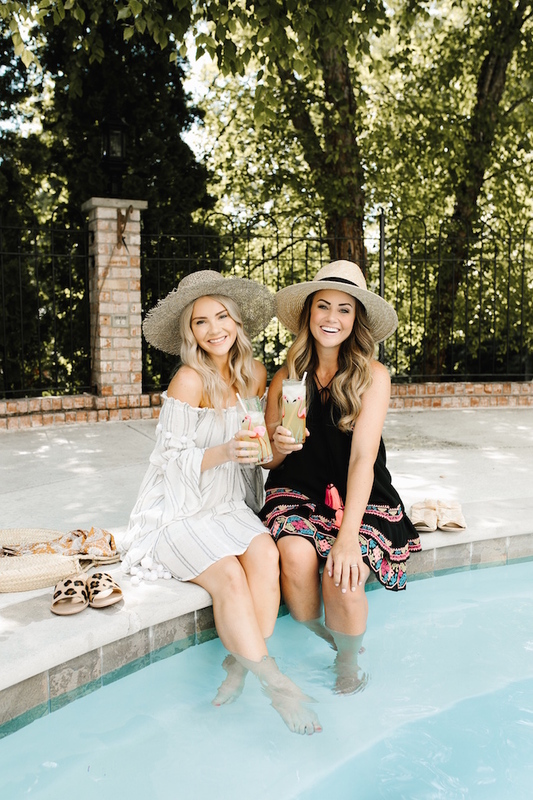 Whether your packing for vacation or planning for a night out after a relaxing day at the beach or by the pool, learning to style versatile pieces that can easily transition from day to night is so important! 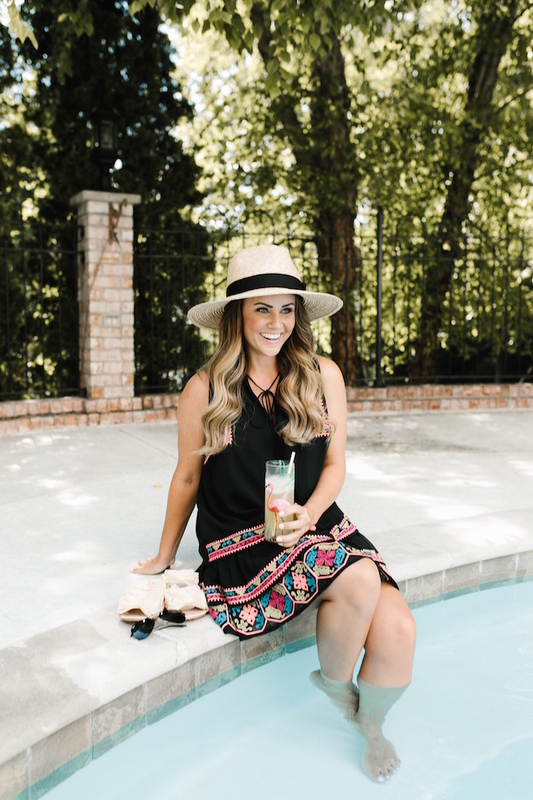 If you've never worn a swim cover-up as a dress, I encourage you to give it a try...you'll be pleasantly surprised how easy it is to take a cover-up from a casual day by the beach or pool to a night out! 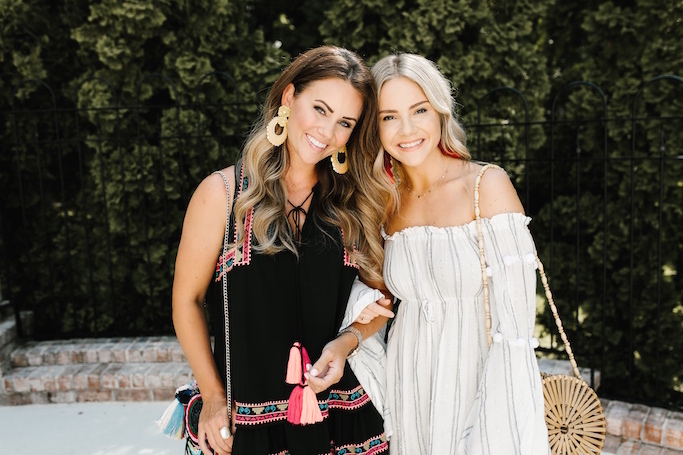 My sweet friend Hunter, of Hunter Premo, and I will be sharing how to wear a cover-up in your 20's and 30's and how to elevate your look for nighttime as well! 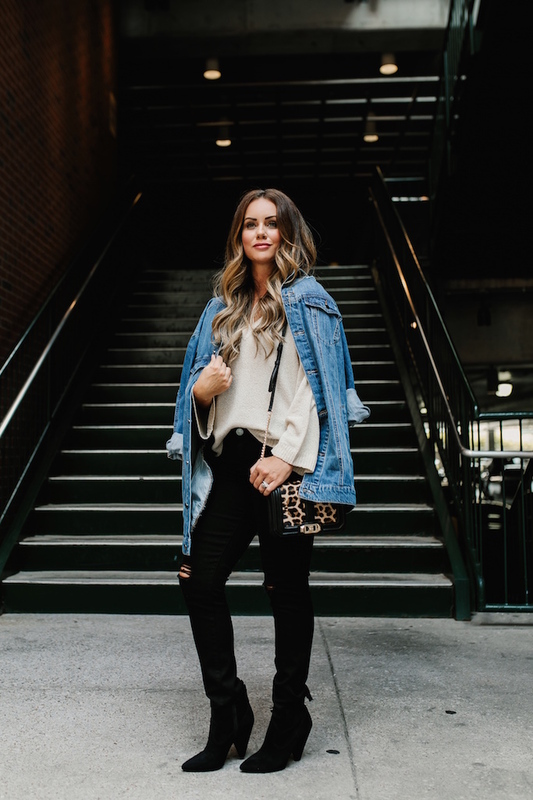 This is the second installation for our #HunterBrookeStyled series and if you missed the first one about styling graphic tees, you can check that out HERE! As you can see, cover-ups if not sheer, etc., are completely acceptable to wear for a night out as well! 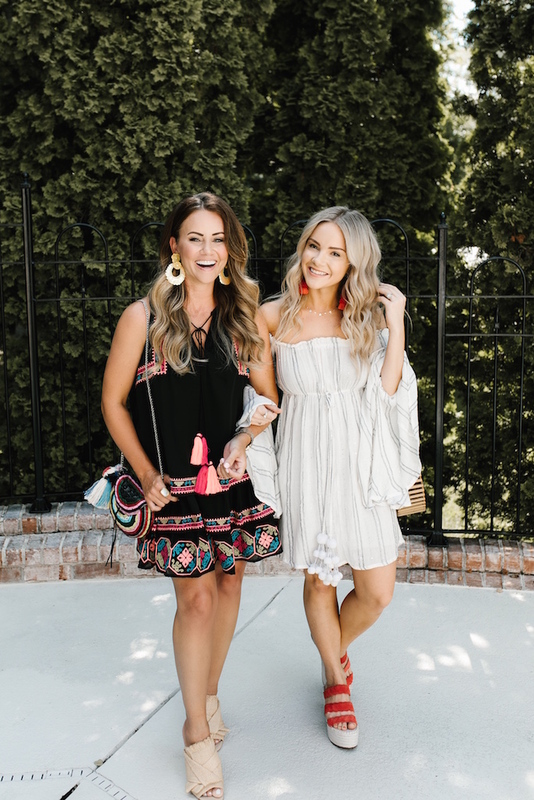 Taking a cover-up from day to night is simple...add a heel, a fun clutch or handbag, and a pair of statement earrings and voila! You have now taken the same cover-up you wore down to the beach or pool and elevated it for nighttime! 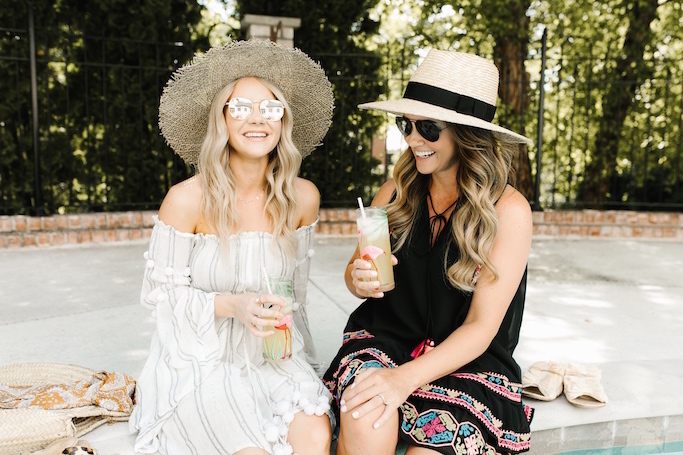 When you travel, you can save space by packing and planning to wear pieces like coverups that offer so much versatility. All cover-ups aren't created equal so when thinking of wearing a coverup for a night out, just be sure that it isn't too sheer or that it doesn't show too much skin. After all, the goal is for no one to know that you are actually wearing a swim coverup to dinner and ladies, we must keep it classy! Beaufort, SC, a small charming southern city situated on the coast in the low country, is a destination that I highly recommend you add to your list of places to visit! I recently spent some time in Beaufort and I'm so excited to share a bit more with you about the places I visited while there! Starting with Low Country Produce! 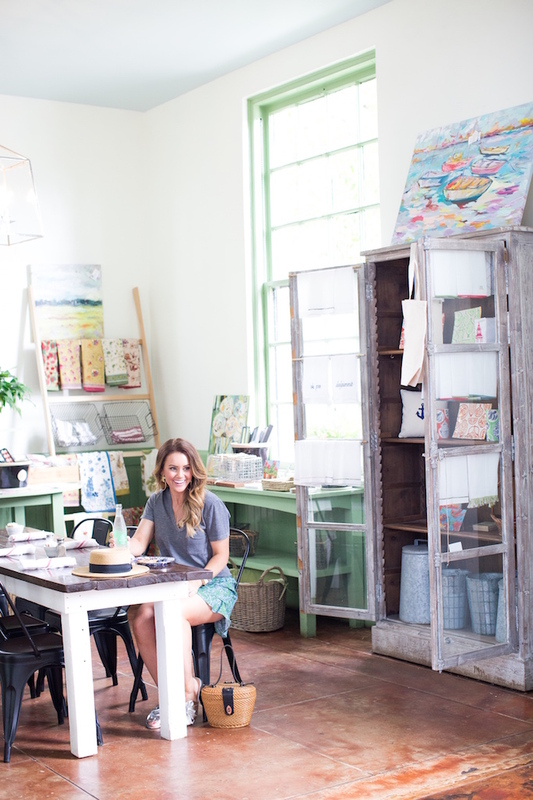 Low Country Produce is one of the most charming spots in Beaufort! 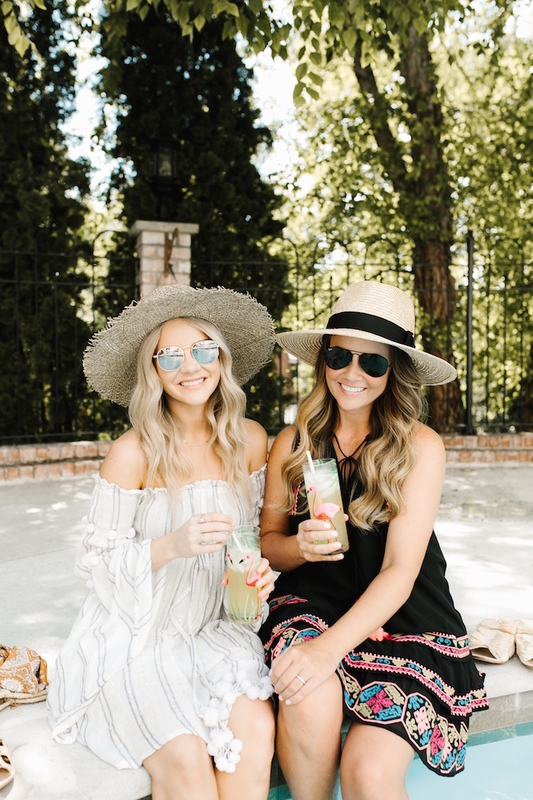 From it's delicious menu of freshly prepared dishes, to its sundries & cannery, to the fresh baked pies and goods, to the unique home goods...you will find yourself wanting to spend so much time here immersing yourself into a slower pace of life. 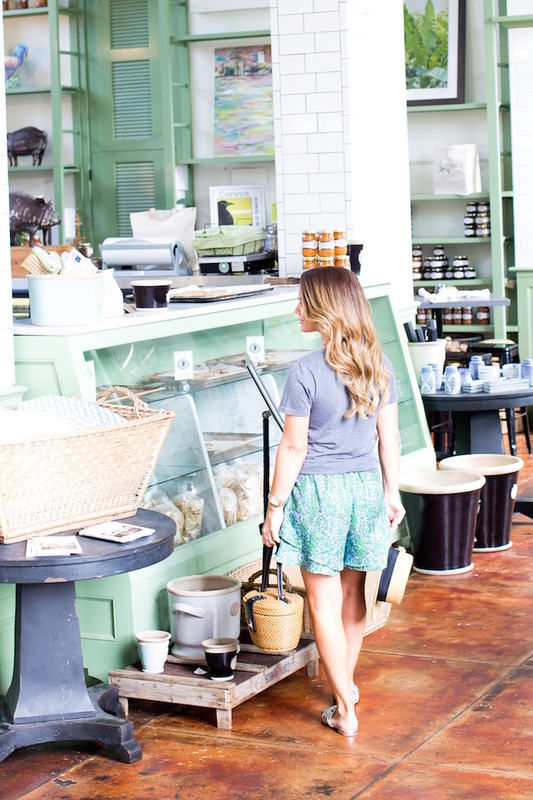 The southern charm fills the air at Low Country Produce and there are so many little nooks to explore. We started our day here and if you are to visit Beaufort, I recommend heading over to Low Country Produce for breakfast or lunch. Even if you want to just grab a delicious pastry or a refreshing beverage and pull out a great book...this is the perfect space to spend some time relaxing. Sit, relax, and soak in all of the southern charm around you. I'm certain you will adore Low Country Produce just as much as we did! We can't wait to go back next year! Have you visited Beaufort, SC and if so, did you stop into Low Country Produce? As always, thanks so much for stopping by and I hope you have a great day. 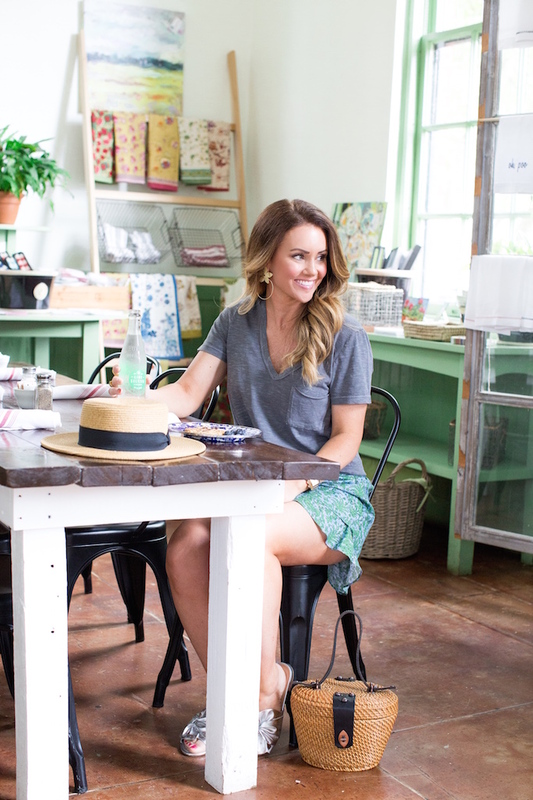 See you back here real soon and stay tuned for more of my favorite spots from Beaufort, SC!